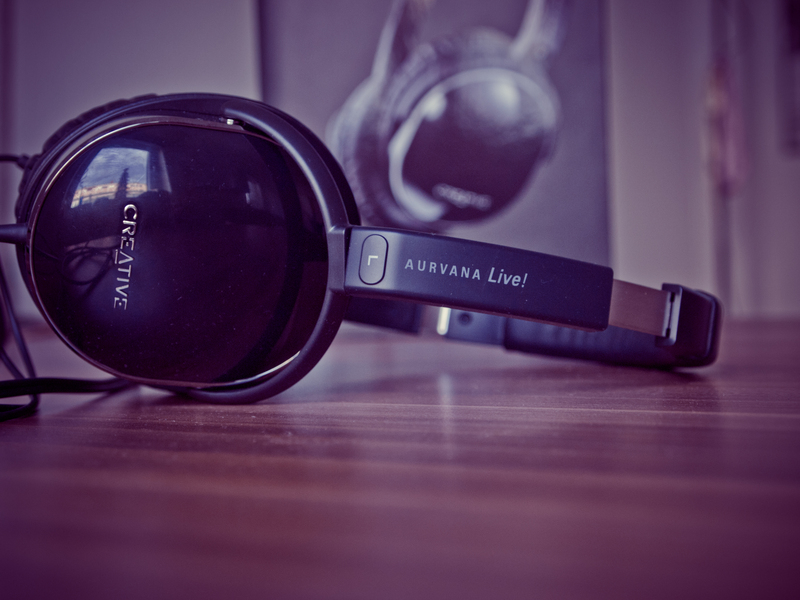 The Creative Aurvana Live! is a closed headphone that I recently had the opportunity to try and I believe that it is definitely one of the best ” value for money” purchase as well as an excellent headphone at the sub 100 cost. The Creative Aurvana Live! is an offering from the Aurvana range of products that Creative offers (as we’ll have it for my typing comfort sake!) 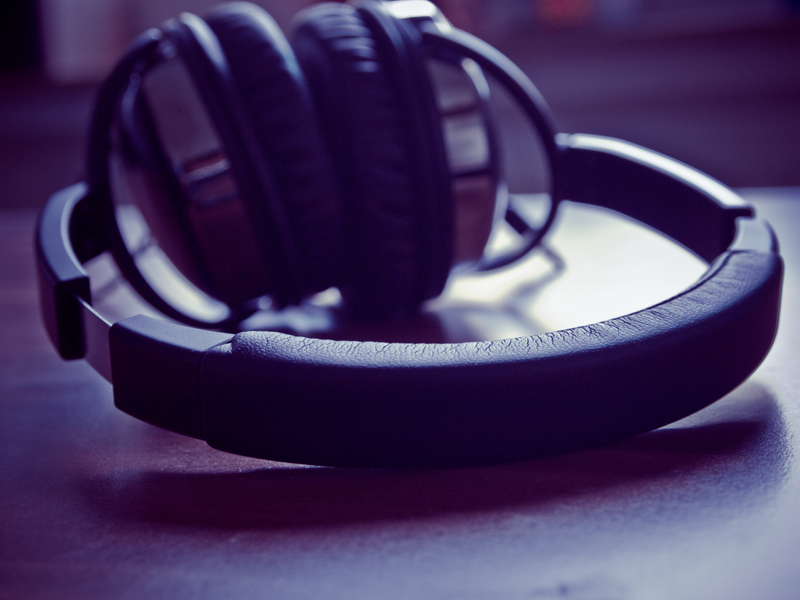 is a deceptively simple looking pair of headphones. The glossy earcups are the first thing that will strike you out of the box, that also means that it is going to be a fingerprint magnet. The headphone does not boast a great build but my “guess” is that it actually is tough enough to survive as a carry-around portable or travel headphone for everyday use. The whole frame is made of plastic with a metal band bringing up the clamping area of the headphone. The box comes with a carrying bag, 6.3mm stereo adapter and a 1.5m extension cable. A special mention to Creative’s frustration free packaging, I still remember how I had to fight with the Sennheiser HD448 blister packaging! The Creative Aurvana Live! feels really light in the hands and has this ” aura of coziness” about it. The 40mm “bio-cellulose” diaphragm is held in plastic earcups covered with soft leatherette material (great for winter days). As a headphone designed for use with portable music players the CAL! has an impedance of 32 Ohms and is driven well by all almost all portable music players. The CAL! 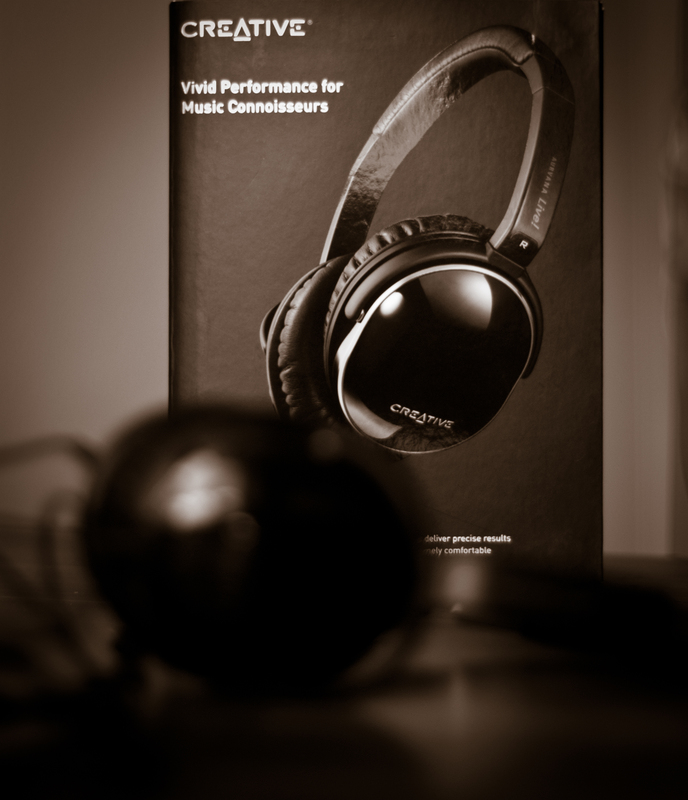 reaches a level of comfort that I have not experienced even from headphone models costing 5 to 6 times its cost. The clamping force is almost non-existent and is very similar to the HD448. I even wonder how Creative manages to keep the little isolation that it provides with such paltry clamping force (guess the leatherette earpads do that job!). The headphones disappear once the music starts playing and that’s how I like it. The upper part that sits on the head has little foam cover, but that does not deviate from the overall comfort the CAL! provides. The 1.2 meter cable is fine for my 5’10 stature but if you’re taller than the provided extension cable is a nice touch. The CAL! is really light (210 grams) and just disappears once I hang it around my neck like any portable headphone should. The earcups envelop my ears (circumaural) but I can easily see that they might not for users with larger ears (becoming supraural) resulting in even less noise isolation. Lovely, warm and very musical. Driven straight out of my iPod Classic the CAL! does a beautiful job of most types of music that I throw at it. The vocals are slightly recessed (or it’s just the highs creating the feeling! ), clear sharp treble with decent extension, lovely midbass – bass is present, not so much sub bass and rumble, but clear tight lows. The soundstage feels as good as the HD448s and the musicality of this headphone definitely bests both the Superlux HD661 and the Sennheiser HD448. I’m a proponent of uncompressed music and prefer using lossless files whenever possible and would recommend that music lovers need to experiment with the same. 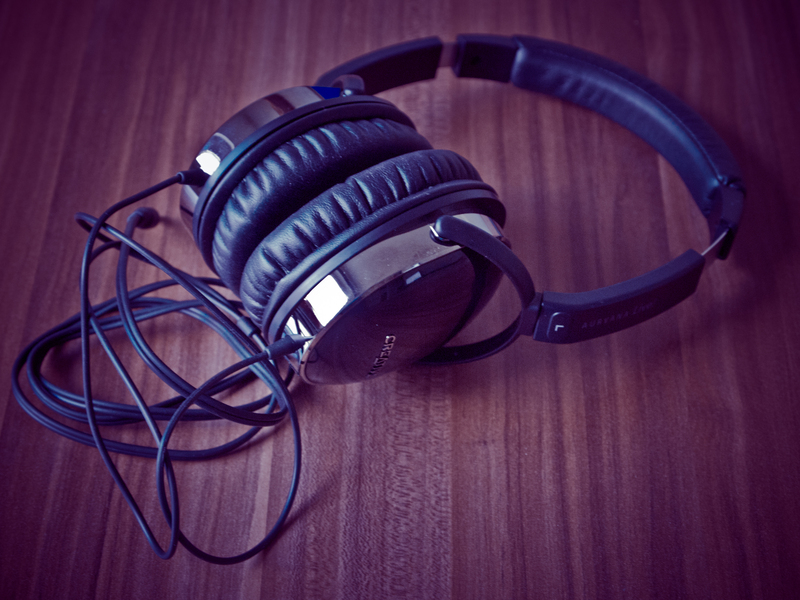 My personal experience is that the headphone or IEM that one uses can greatly affect the clarity or resolution of these lossless files and believe is one of the reasons that people often don’t notice the difference compared to an mp3 file. The Creative Aurvana Live is a headphone that will definitely help appreciate lossless and higher resolution music be it on a computer or a portable music player. Upon connecting my Fiio E11 to the CAL! I was expecting that the bass would probably get a bit too strong but to my surprise, that never happened. There was a slight improvement in definition overall and that’s all I could experience! 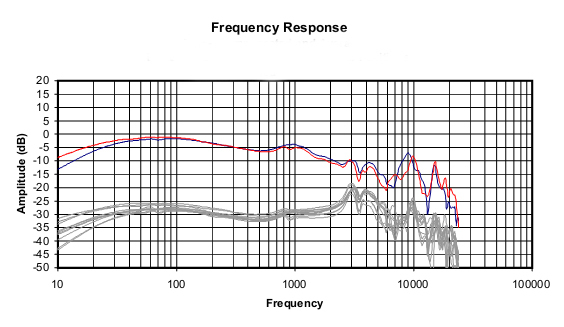 So there is little to almost no improvement in adding an amp to this headphone (which is good and bad!). Performance is very much similar when connected directly to a laptop so its great for movies and casual gaming as well. As Tyll’s review at Inner Fidelity and the good folks at HeadFi have shown the Aurvana Live seems to be a reincarnation of the Denon AH-D1001. The bio-cellulose based diaphragm is still used in today’s Denons like the AH-D 2000,5000 and 7000. Not long ago, I had spent a short time with the AH-D2000 and could actually feel the “Denon sound” in the CAL! The D2000 is in a completely different category than the CAL! and therefore outmatches it, but the “flavour” of the sound is very similar. The Creative Aurvana Live! is a crowd-pleaser with its warm and mid-bass bumped detailed presentation. The sub 100 buck headphone market is one of the hottest and the Aurvana Live is a capable entry, though not a popular one. Newer arrivals like the Sennheiser HD449 face some stiff competition from the CAL! considering the price and quality delivered, lets not forget the Superlux HD661 as well with its unbelievable price point. Creative seems to be one of the under-appreciated players in the headphones market and its offerings like the Aurvana Live! seem to be lost midst the celebrity endorsed, ridiculously colored or funky design headphones crowd out there. The CAL! is a well-rounded headphone offering that should be a very good choice for the general smart music listener looking for slightly neutral presentation and isn’t looking for a bass-head headphone. The only setback that one can associate with the Aurvana Live is the poor isolation that it offers but I have had no problems using it outdoors since that also makes it a sufficiently safe choice as well! As a well-rounded headphone offering its not suprising that eventhough it does not enjoying popularity it does seem to have a strong fan following. In fact there are a whole bunch of mods that these die hard fans have come up with which seems to pretty much make the Aurvana Live an awesome buy for the money. Update: Seems like the CAL! is getting popular, CNET just published its best headphone picks for under 100 bucks and guess what’s at the top! !